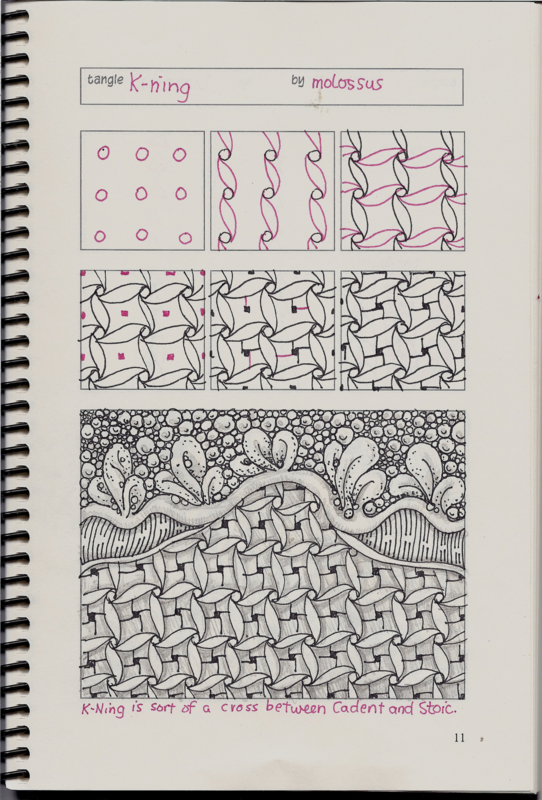 My giveaway of Geneviève Crabe’s Tangle Organizer and Journal 2012 ended last night, but you’ll still be seeing the pages as I come up with new tangles! One: if you find it difficult to judge where your next lines should go, you can always use dots first so that your eye will have a guide. 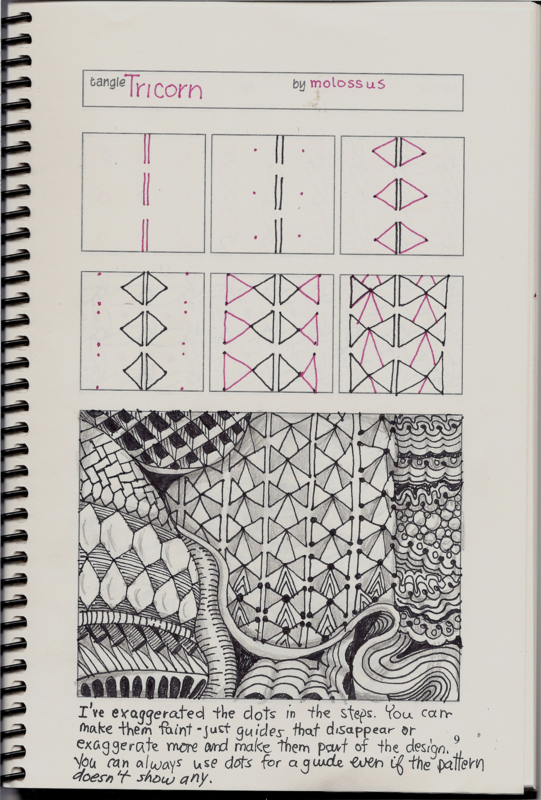 Two: Repetition of a shape is always a good method for coming up with a pattern. Mirror the shape. Turn it on it’s side. Nest the repetition within the shape itself. I used a triangle, but this would work for other shapes as well. I came up with K-Ning quite some time ago, but I’ve had people asking about it lately, so I decided to post it a refresher.